Melbourne Knights have had a busy transfer period this off-season, as Andrew Marth works tirelessly in building a squad that will push for a finals spot in the 2017 NPL season. The first addition to the team was announced late September as Kym Harris agreed to terms. 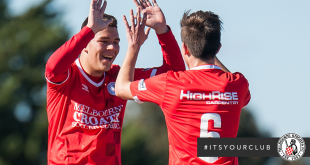 The 24-year-old striker, originally from Adelaide Blue Eagles, split his time between Bentleigh and Hume last season, and played a pivotal role in Hume City’s FFA Cup run this season. In a recent tour of the facilities, Harris took time to speak to Knights Media to discuss joining to Club, his hopes and ambitions & what lies ahead in 2017. 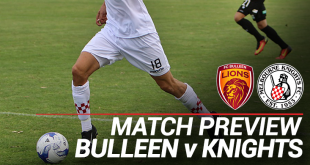 Welcome to Melbourne Knights Kym! Firstly, what did you know about the Club prior to signing? 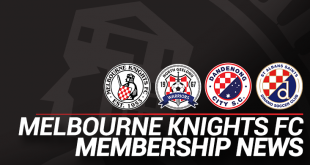 Obviously Melbourne Knights has a lot of history and you do hear about the Club so I’m really happy to have the deal done and be here. 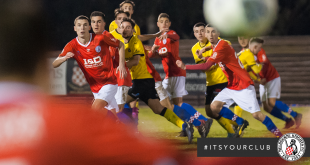 What motivated the move to Melbourne Knights? I enjoyed my time at Hume City, but when Andrew Marth called me and discussed joining, I thought this would be a good opportunity to join a young and exciting team, and hopefully we can have a good season. Last year you made the move from Adelaide to Melbourne, how have you found the transition? I played a number of years in Adelaide which has a good strong league there. Last year I wanted to come to Melbourne not just for the football, but for the lifestyle and work as well. The league here is strong with some very good young players – I’m really enjoying the challenge. For those who haven’t seen you play, can you describe what sort of player we can expect? I’ve always played as a number 9 striker. I work hard, hold the ball up and create opportunities and hopefully the goals come along also. Short term: just to take it a game at a time, but try win as many games as possible and achieve finals. To qualify for the FFA Cup and have another cup run would also be very enjoyable. Who do you see are the title challenges for next season? Obviously its hard to overlook Bentleigh and South Melbourne, but this league is very strong with a lot of good teams. Every game will be tough and we’ll need to make sure we work hard for three points in each fixture. Are there any familiar faces in the dressing room? I know Jake (Barker-Daish) from the time he spent at Adelaide with United, and spent some time knowing Fraser Chalmers when he was training at Hume last season. Looking forward to meeting the rest of the boys. Having had a tour of the facilities at Knights Stadium, what are your first impressions? I didn’t realise how nice of a setup the Knights have here with the gym downstairs. It’s a big stadium with a big pitch, the Club has a lot of history and I’m really excited to be wearing a Knights shirt for next season.